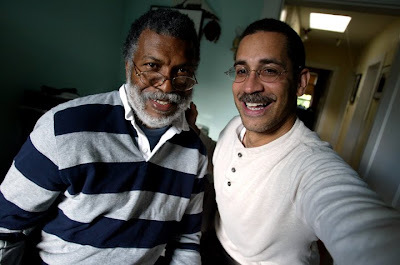 My friend & colleague Daniel Morel of Haiti wins his copyright infringement case against picture agencies AFP & Getty Images in US Federal Court in Manhattan. 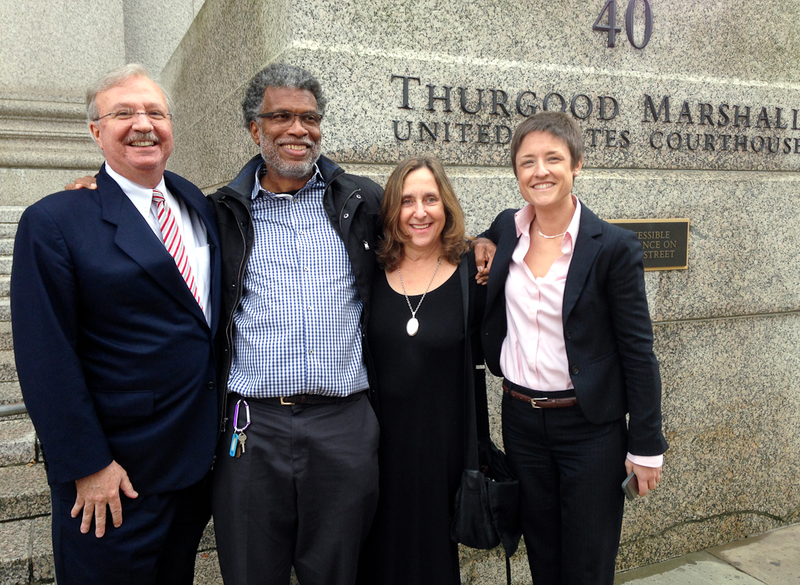 Read more about the case & verdict: HERE. Image © Daniel Morel/Photomorel, courtesy of the photographer. My longtime friend and colleague, Daniel Morel has won two World Press Photo Awards in the 2011 competition held in Amsterdam, The Netherlands. 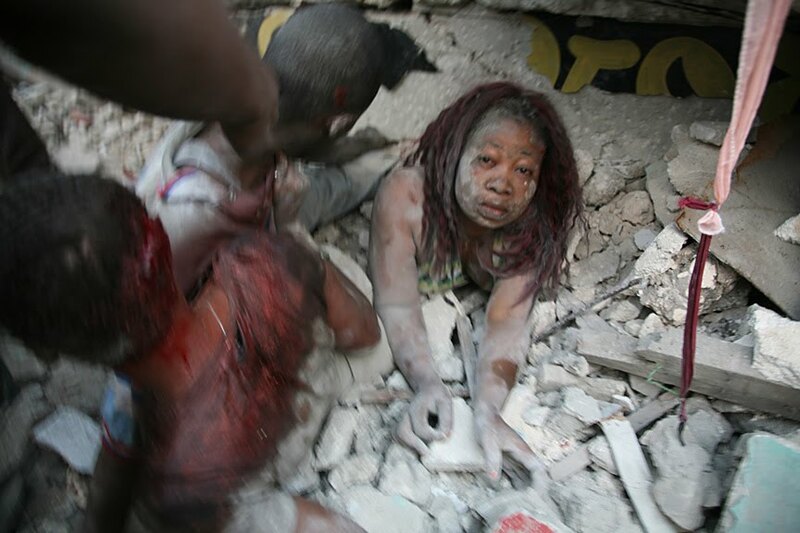 You may know his iconic image above as Daniel, a Haitian photographer created the first images after the earthquake struck in Port-au-Prince on January 12, 2010. His images were seen around the world in the days following the devastating earthquake that killed more than 250,000 people, and left upwards of 1.5 million people homeless. His images ran in newspapers and magazines around the world, and were broadcast on international TV news channels as well. Daniel was awarded a 2nd. 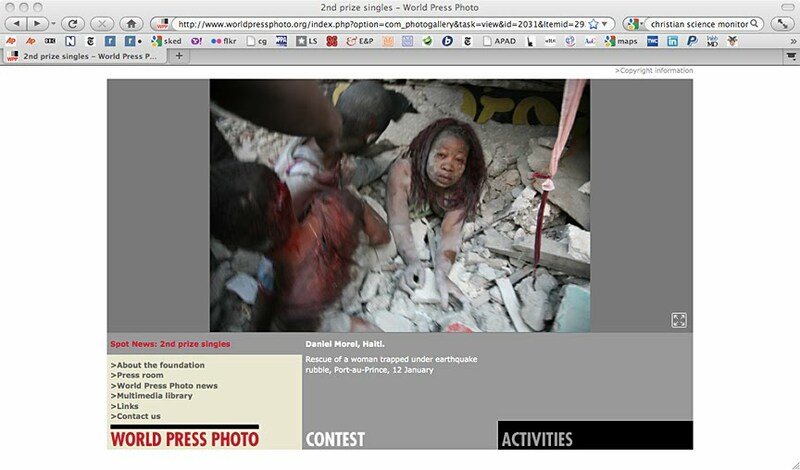 place in News (Singles) for the image of the woman crawling out of the rubble (above) and a 1st. 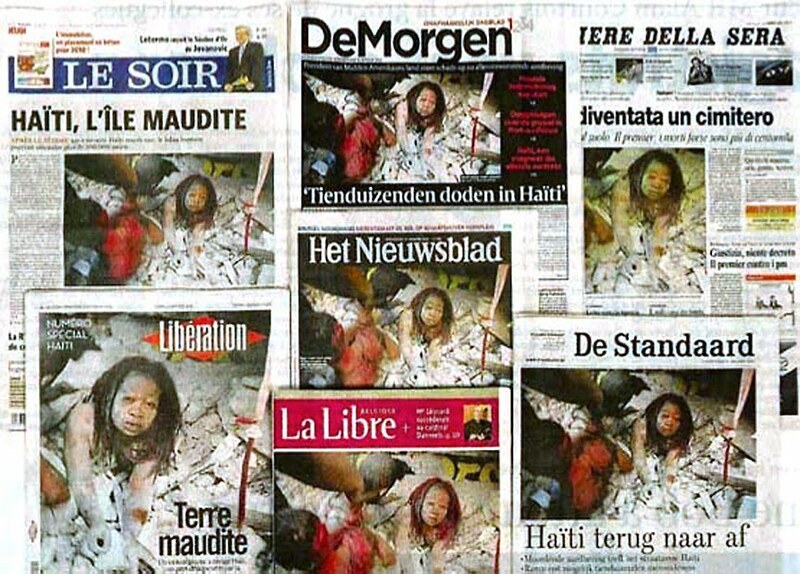 Place in News (Stories – below) for a collection of his images just after the earthquake that first day. I’ve known Daniel for nearly 20 years, after our first meeting in Haiti back in 1993, on my first international shooting assignment with two other colleagues. I caught up with Daniel in his Port-au-Prince hotel last January, two weeks after the earthquake, while I was there working for longtime client Operation Smile. ~cg. Oloffson Hotel. Port-au-Prince, Haiti. Saturday, January 30, 2010. Portfolio editing w/ Daniel in my apartment. Newburgh, NY. May 2008. This entry was posted on Saturday, November 23rd, 2013 at 3:44 PM. 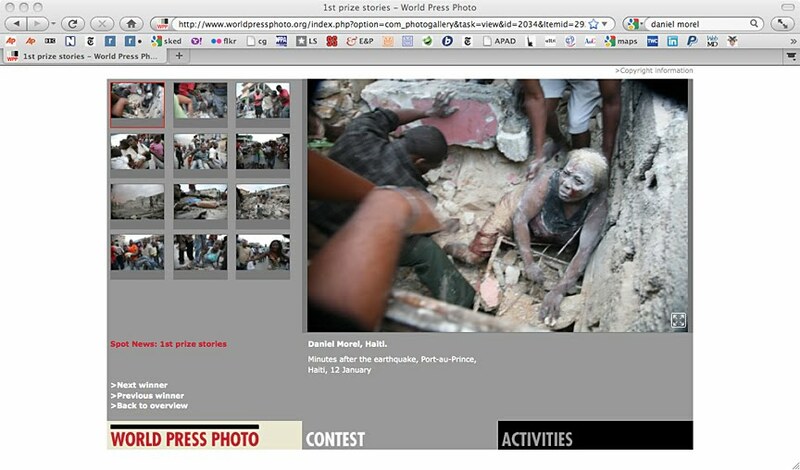 It is filed under Personal Work: and tagged with afp, copyright, daniel morel, getty, Haiti. You can follow any responses to this entry through the RSS 2.0 feed.